Dolls it has arrived. Yes, the product I was exasperated in being released. It is the Blend up Vibra-Sonic™ Makeup brush by Magnitone. Not everyone enjoys reading and prefer to see all this in a video check out my YouTube channel. In my youtube video, I show you will be able to see the difference if you apply makeup with regular brushes vs the Magnitone Blend up Vibra-Sonic™ Makeup brush. Let me tell you the crazy thing!!!!!!!!! The difference is noticeable by a mile!!!!!!! WHY DID I CHOOSE THIS PRODUCT? Firstly, Magnitone is an established award winning brand, who has been featured even in Vogue magazine and let's face it Vogue does not feature anything but the best of the best. I've seen makeup artists on YouTube using such devices but the design of the ones I have come across don't fit the brief for me. When I saw the the Blend up Vibra-Sonic™ Makeup brush I fell instantly in love. That sleek design, that rose copper colour detail are the epitome of luxury. It comes in two classic and timeless colours: black and white. I had to have it at any cost, I was counting down to the Octobers 4th release date. I’ve always wanted a brush as such but in order to make the leap it had to be worth it. Look at it, it was totally worth it. It's not clumpy. You can even take it with you wherever you go. The battery lasts up to 100 mins and it has smart travel power lock. These are incredible features as you definitely wouldn't want it to have low battery when you are out and it's the main brush you need. Blend up is a Vibra-Sonic™ Makeup brush. It buffs and blends makeup in a way that the end result is flawless thanks to it's 200 vibra-sonic movements p/sec. The Magnitone BlendUp Vibra-sonic makeup brush brush not only works with fluids but also with powders efficiently. It is very easy to use as it has three base functions. One is blending/buffing, the second is for the finish and the third is for it's cleaning mode. Last but not least you can put the brush on sleep mode too via the same button. What I love is that not only does it buff and blend your makeup but it also stimulates the skin by massaging it. This was achieved as Magnitone developed it with expert guidance from Celebrity Makeup Artist, Paul Herrington. No one wants a streaky nor clumpy finish. It's the nightmare of every makeup loving individual and unless you are an expert at blending or applying it may be a challenge to avoid. Not everyone can have a makeup artist apply makeup on them everyday. This for me is literally a portable makeup artist for creating my base. Well all of the Magnitone BlendUp Vibra-sonic makeup brush heads are treated with Biomaster® which is an antibacterial shield based on natural silver-ion technology which lasts for life. This makes sure that there is no cross contamination reducing those breakout incidents we truly despise. Can you imagine that it's brush design is created in order to minimise bacteria build up , minimising efficiently breakouts. 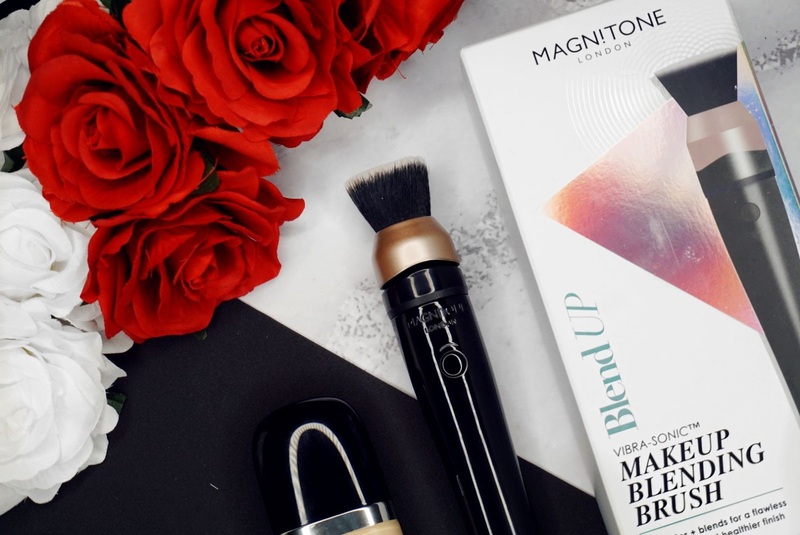 The Magnitone BlendUp Vibra-sonic makeup brush is so versatile that not only does it come with the SmoothBLEND™; a flat-topped brush head. It also has two extra heads that you can purchase separately and these are the BuffBLEND and FeatherBLEND to diffuse, buff and stipple depending the look we want to go for. Look at that flawless finish. The Magnitone BlendUp Vibra-sonic makeup brush is the best brush I will ever own. My make-up finish looked airbrushed as promised by the product description. So not only did they deliver to expectation but they also went over them. I was impressed with the quality of this product. The design of the product is minimalistic and timeless. It looks like the perfect accessory to take around with you. If like me you may be an influencer, it's the perfect looking brush aesthetically!!!!!!!!! 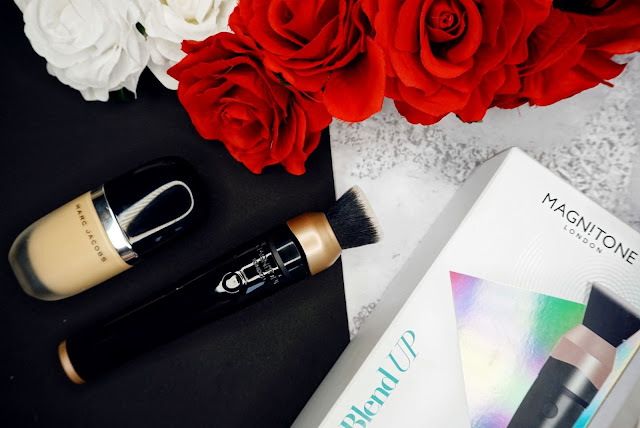 In my youtube video you will clearly be able to see the difference between the normal brushes I use and the Blendup Vibra-sonic makeup brush. The difference is so clear to the point that I wouldn't even have to label which side was done with the brush and which one wasn't. 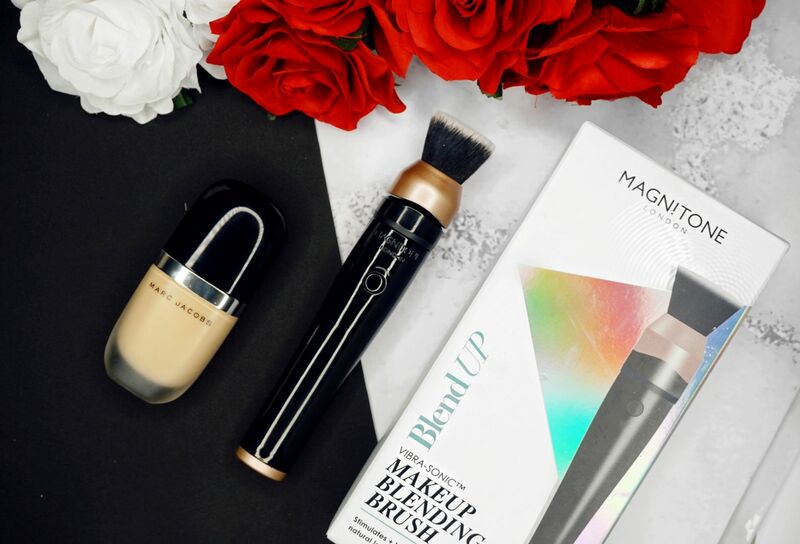 In terms, of functionality I would say that it is a brush which makes your makeup base look flawless and also makes your whole makeup routine much quicker. Magnitone runs as a very effective and professional company as they provide excellent customer care and also next day delivery. I always expect this from brands I would want to purchase from as trust is the key to a worthy purchase. 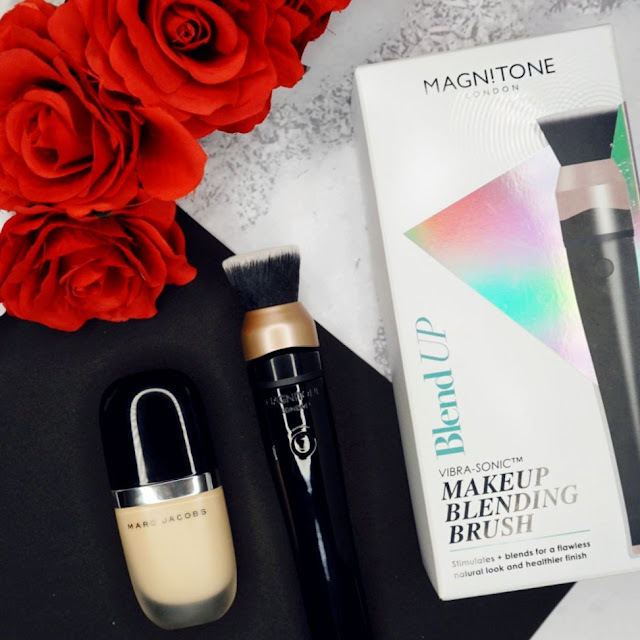 I found that it was extremely simple to use the Magnitone BlendUp Vibra-sonic makeup brush both with liquids and powders. It blended my foundation in effortlessly and made it looked as it would do if done by a professional. When it came down to my contouring, blush application and finishing powder, it performed equally as effortlessly and gave me the perfect blend. Last but not least, on a separate occasion I timed how much time it saved me on doing my makeup base and found that I had saved up to 15 minutes!!!!!!!!!!!! 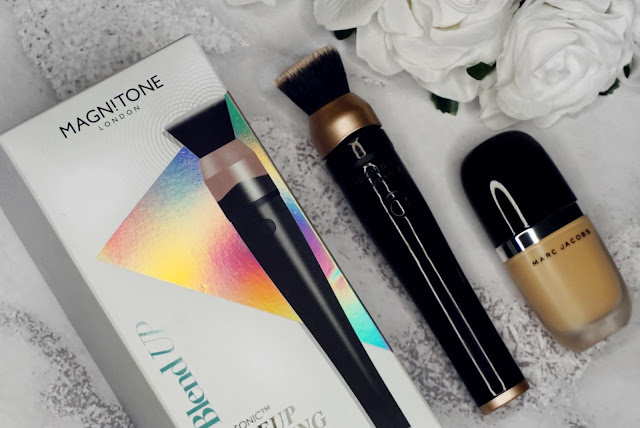 The price does feel a bit steep but then again it is self explicatory, you are buying an advance and luxurious brush for blending and buffing with the Magnitone BlendUp Vibra-sonic makeup brush. IT IS AN INVESTMENT!!!!! And the return you ask??????? Simple!!!!!!!!! 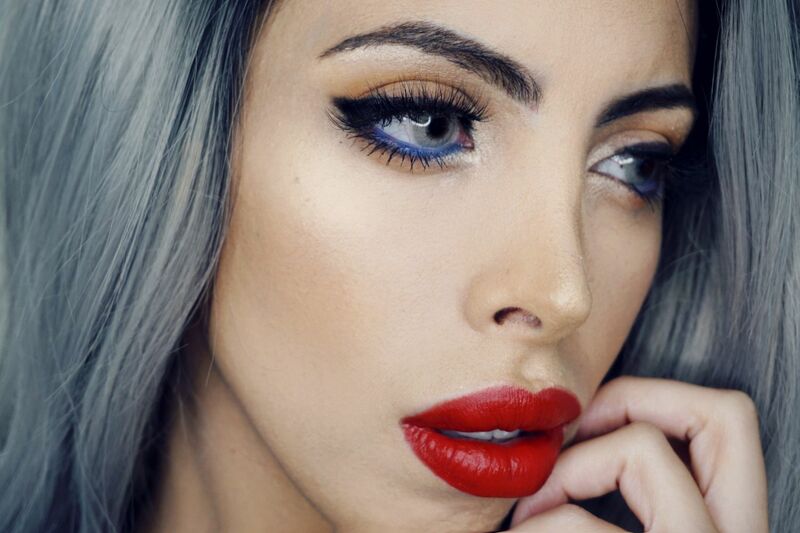 Perfect makeup all day , everyday. 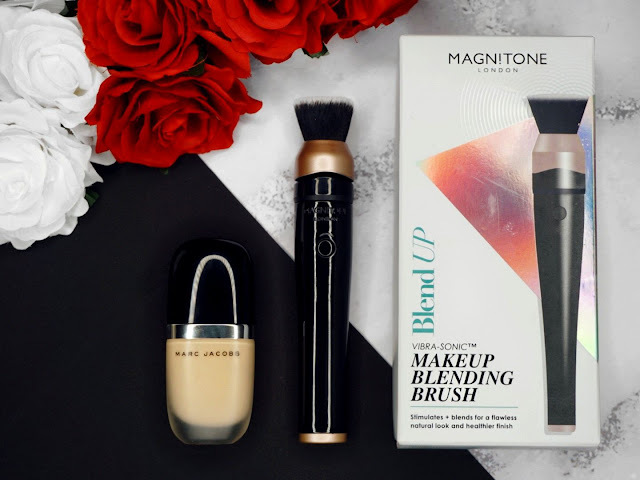 I can't believe how technology has advanced within the makeup industry and how lucky we are to be able to purchase the Magnitone BlendUp Vibra-sonic makeup brush to recreate wonderfully blended looks like the biggest makeup artists of our time do. I recommend this product as it is the most useful brush I ever own to get that perfect makeup finish I always longed for and without any effort. Remember that the brush you use is the key to how your makeup will turn out. Will you splurge and purchase this little beauty. What is your opinion on the item? Are you in love with it as I am? This Item was provided complimentary by Magnitone however all the opinions are mine and truthful. 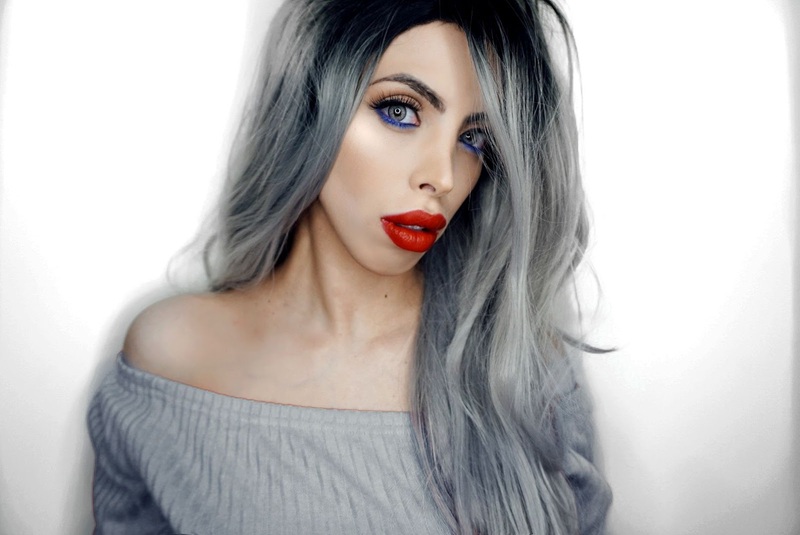 Thanks for shaing most girls do not even realize they need a different blending brush then are surprised when their make up is not as flawless as the girl next door. That's so true and most people don't realise how challenging it may be to achieve a flawless finish. Other than being dependant on brush technique, brush quality and also the products you use. I love how effortless it is to apply you makeup with this brush. I am loving the blend up! I wasn't so sure at first but now I'm totally sold, it's been great for blending and I love there's no streaks! Ps, you look stunning! Thank you so much for your comment. I am so in love with it, it saves me time using it, product and I can't get over how flawless the finish is. Not at all into make up but you have worded the review really well and put the good points across! thank you so much for taking the time to come and visit my blog. Thank you for the compliment. I can't get over how much time I also save using it and not only it helps use less makeup product to. I am in love with it. It's pretty awesome and incredibly useful if you are a makeup addict like me,. Eva thank you so much for the compliment. It's probably down to the brush and the amazing finish it provides. I've always wanted to get a brush like this, but the other ones on the market had a design that just didn't work for me. oh yes I didn't think about that. Yes you do need to charge it. However it does come with 2 hours usage and each time you get to use it, you may not use it in total more than 3 minutes per day. That is a lot of usage before you have to charge it again. I am not a pro but I do love makeup. This just made my life easier. 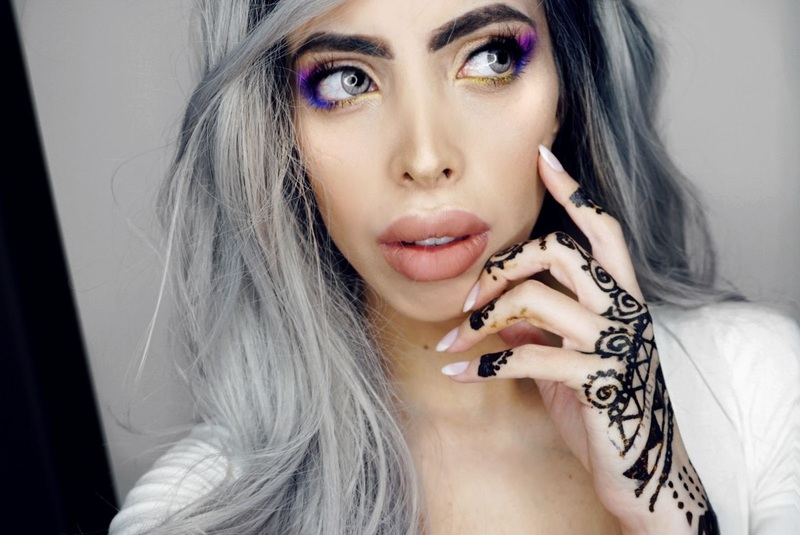 Sure would love to do your makeup, you are inspirational.